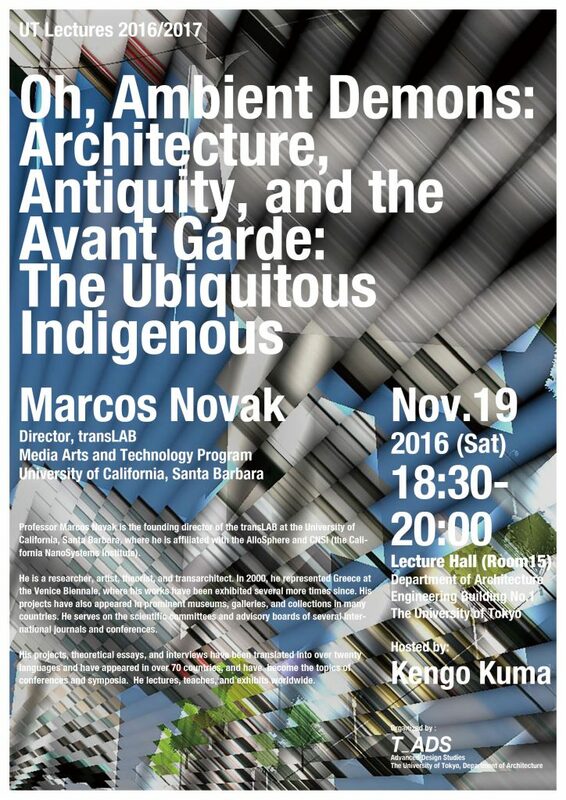 Please join us on Saturday, November 19 in Lecture Hall 15 of Engineering Building #1 for a lecture from Marcos Novak. 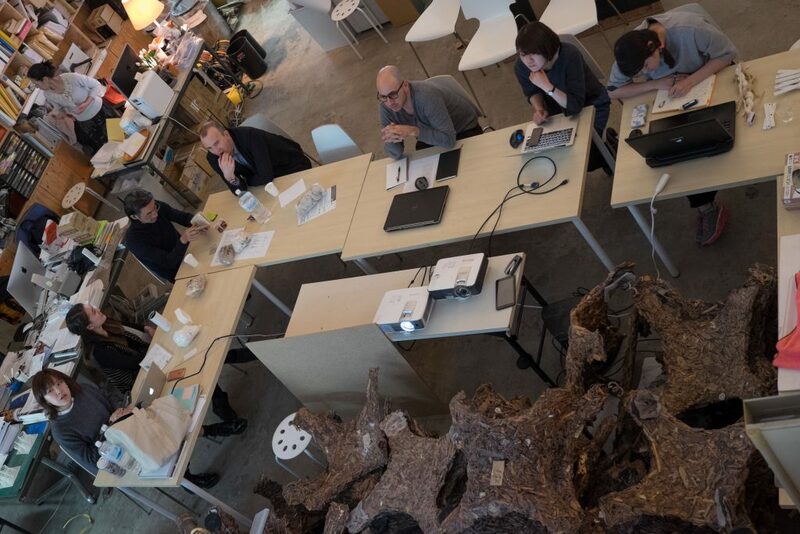 Novak is the Director of transLAB in the Media Arts and Technology Program at the University of California, Santa Barbara. 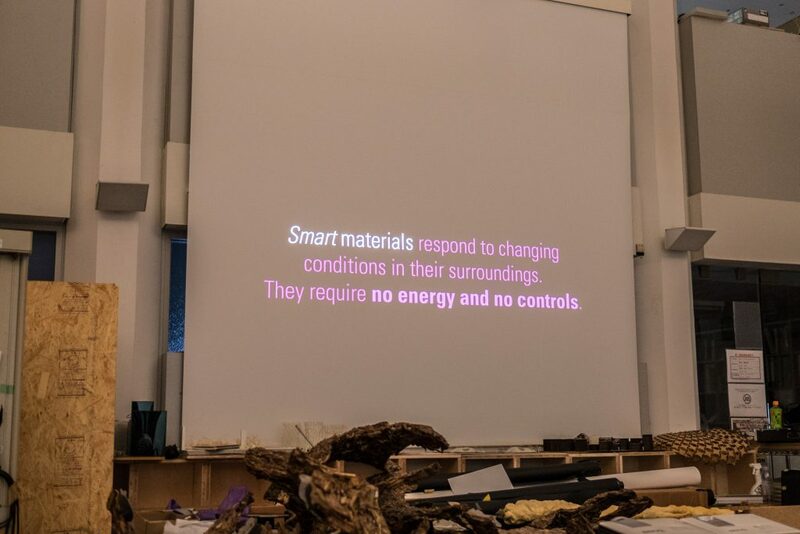 Professor Marcos Novak is the founding director of the transLAB at the University of California, Santa Barbara, where he is affiliated with the AlloSphere and CNSI (the California NanoSystems Institute). 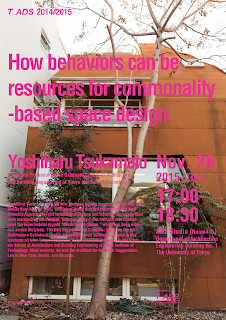 He is a researcher, artist, theorist, and transarchitect. 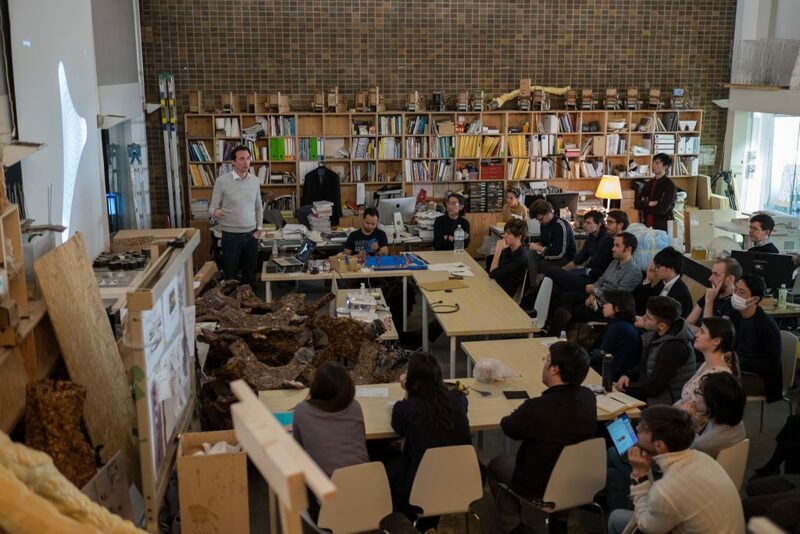 In 2000, he represented Greece at the Venice Biennale, where his works have been exhibited several more times since. 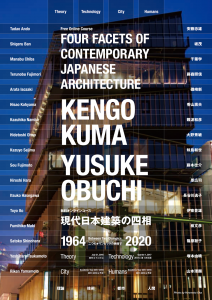 His projects have also appeared in prominent museums, galleries, and collections in many countries. 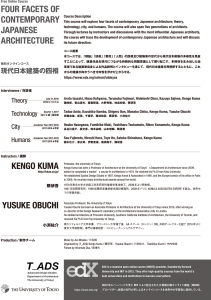 He serves on the scientific committees and advisory boards of several international journals and conferences. 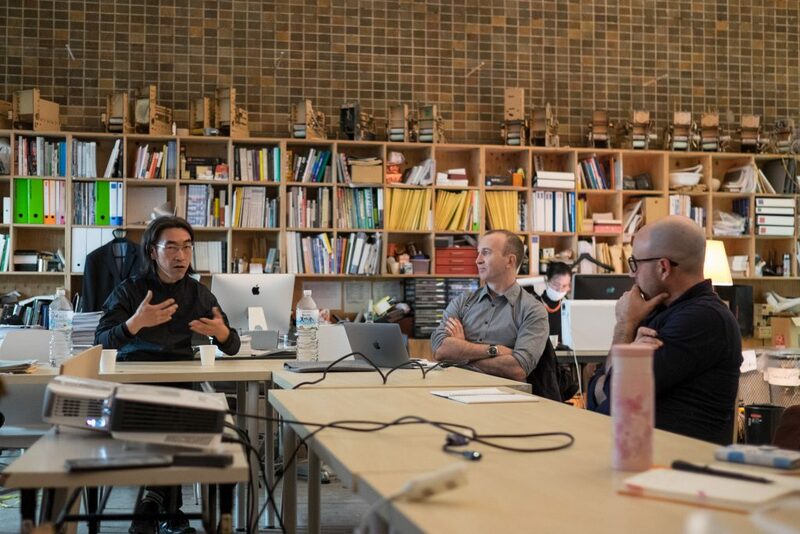 His projects, theoretical essays, and interviews have been translated into over twenty languages, have appeared in over 70 countries, and have, and have become the topics of conferences and symposia. 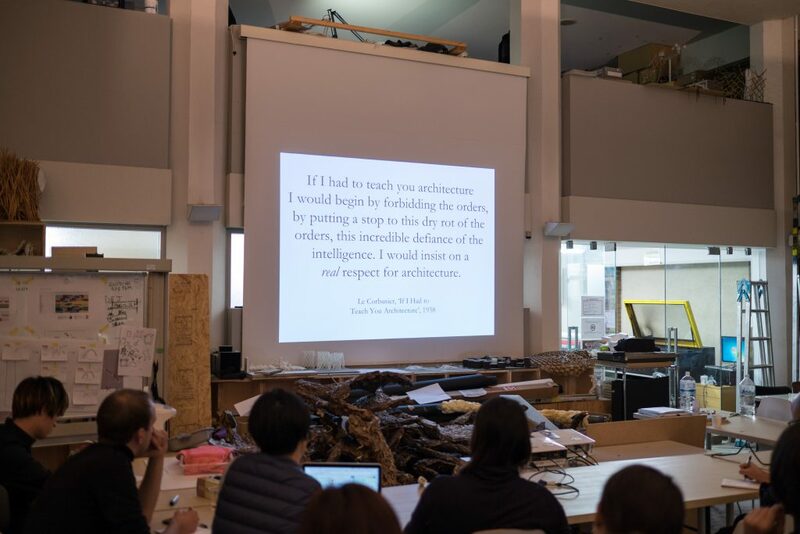 He lectures, teachers, and exhibits worldwide. 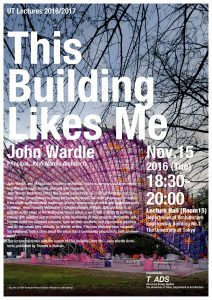 Please join us at 18:30 on November 15, 2016 in room #15 of Engineering Building #1 for a lecture from Australian architect John Wardle. 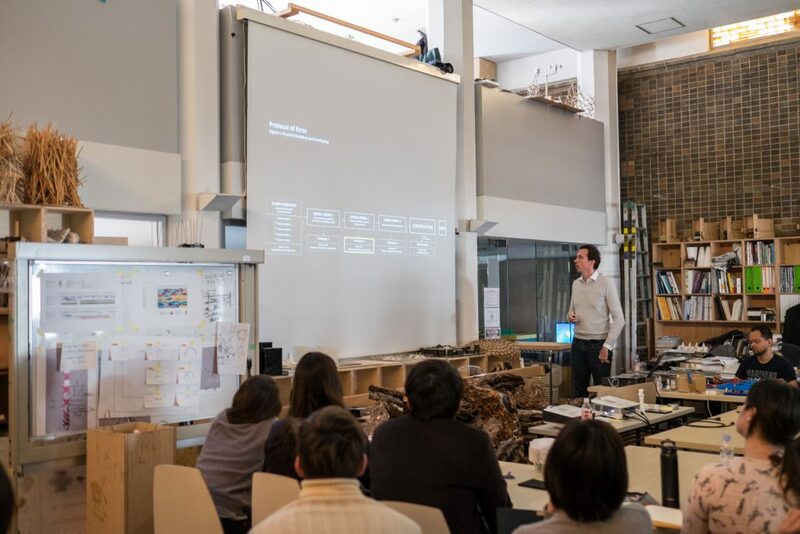 Lecture Description: John Wardle, one of Australia’s leading architects, explores the ways buildings weave together landscape, history, memory, and materials. 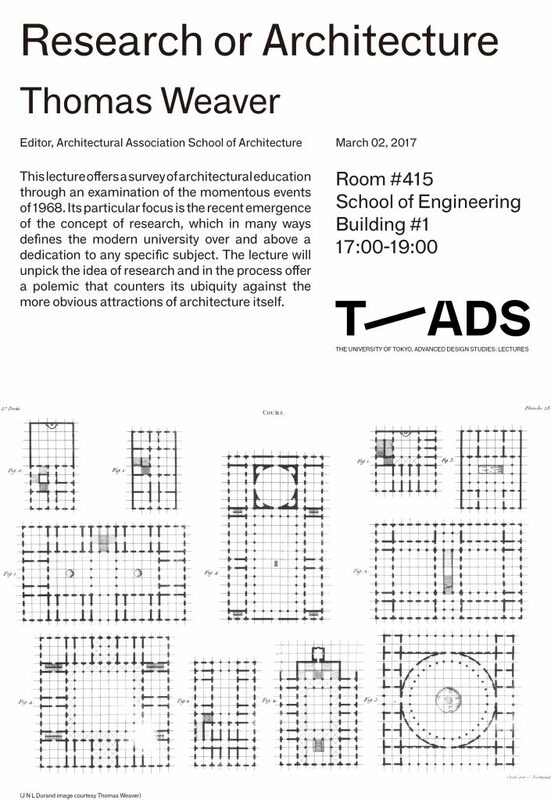 T_ADS is pleased to welcome Thomas Weaver, Editor at the Architectural Association School of Architecture in London. 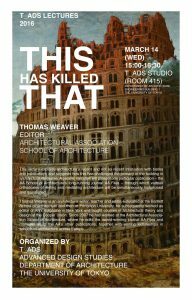 Join us in Room 415 on Wednesday, March 14 at 3:00 PM for Tom’s lecture, This Has Killed That. 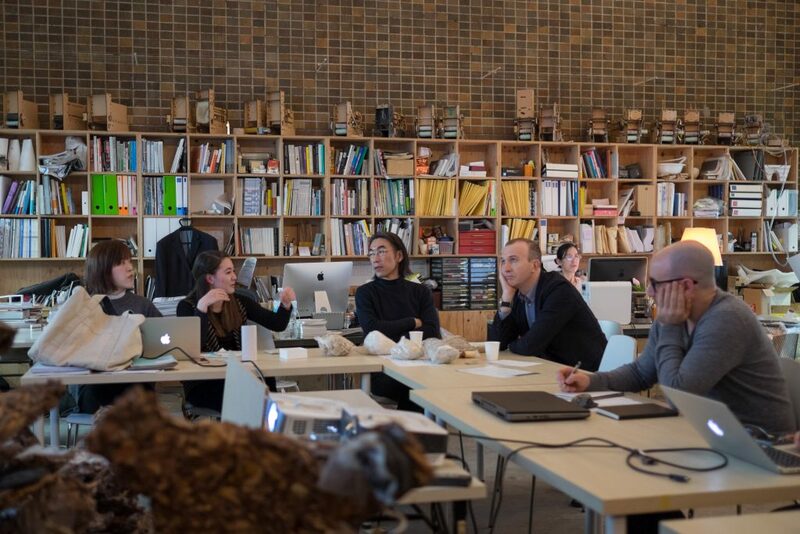 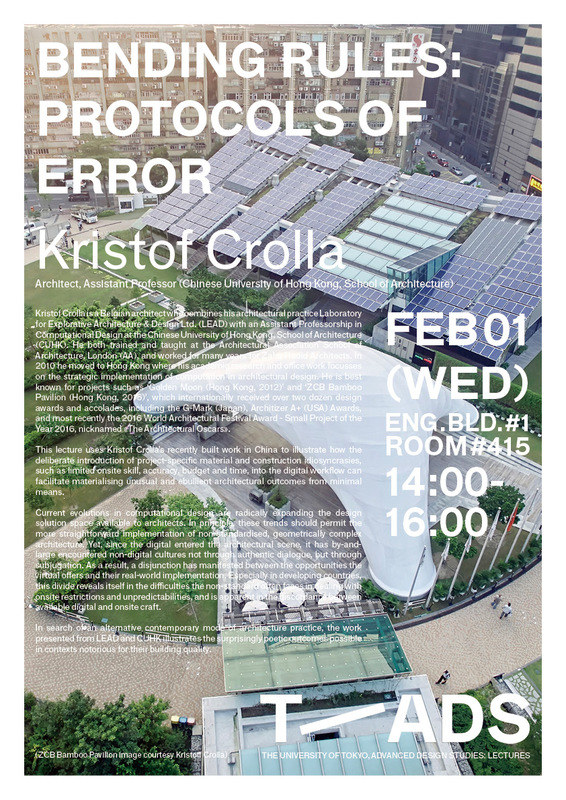 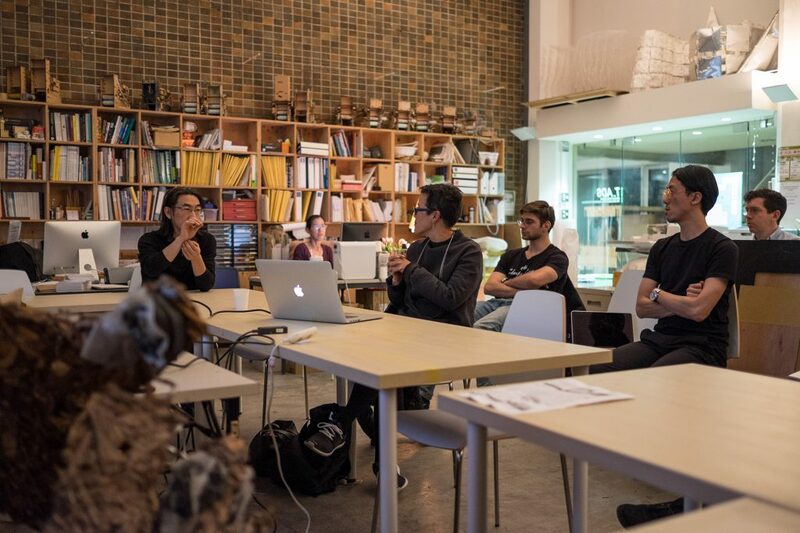 Abstract: This lecture explores architecture’s recent and not so recent infatuation with books and publications and suggests how this has challenged the primacy of the building in architectural discourse. 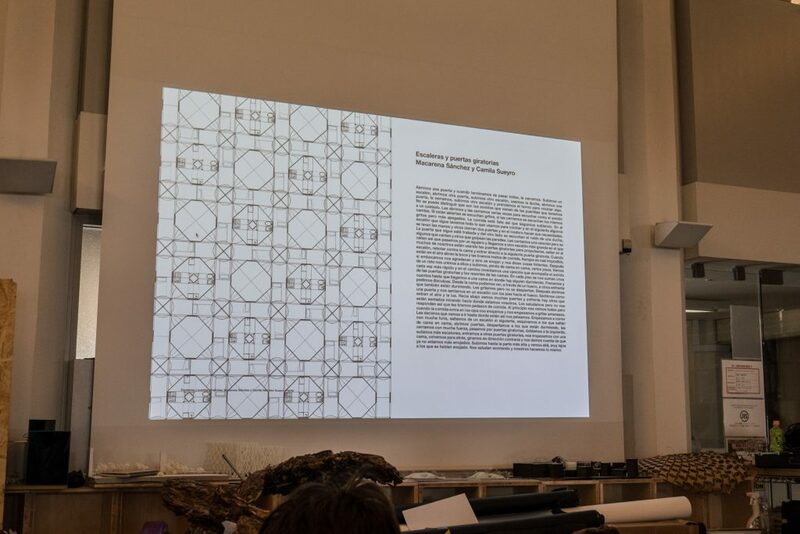 A parallel narrative will present one particular publication – the AA School of Architecture’s long-running journal AA Files – through which various orthodoxies of writing and mediating architecture will be simultaneously historicised and questioned. 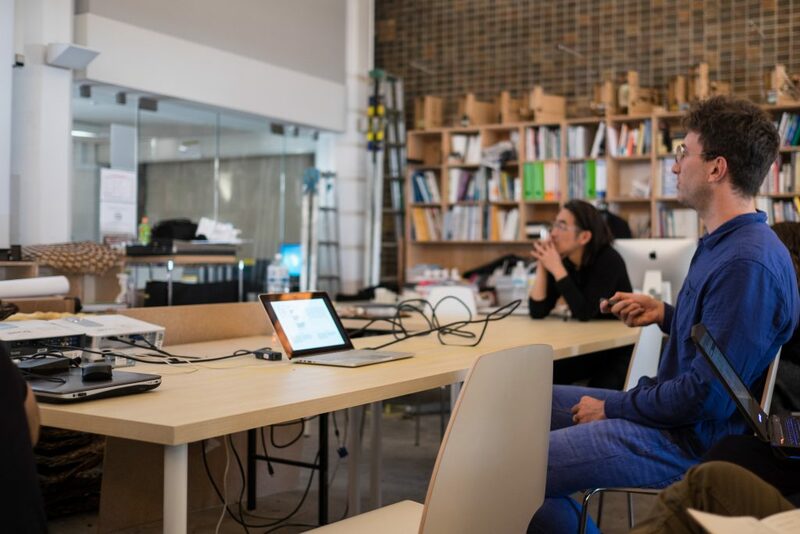 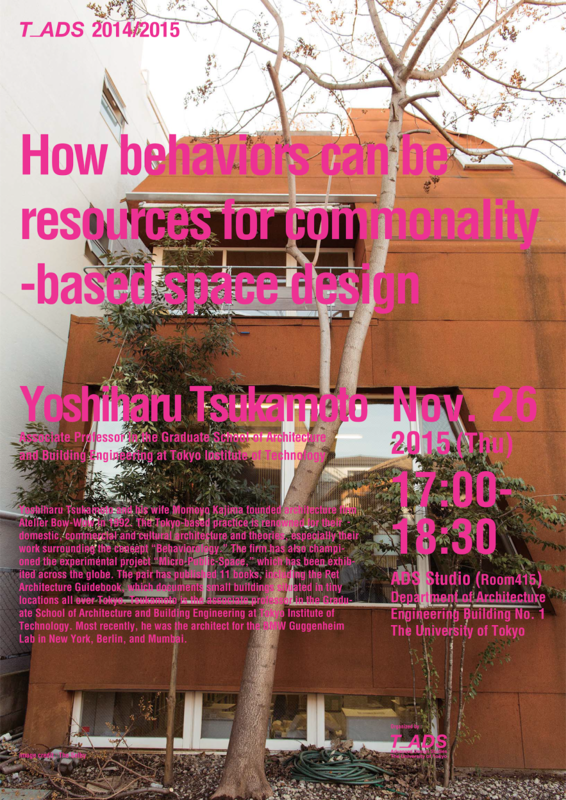 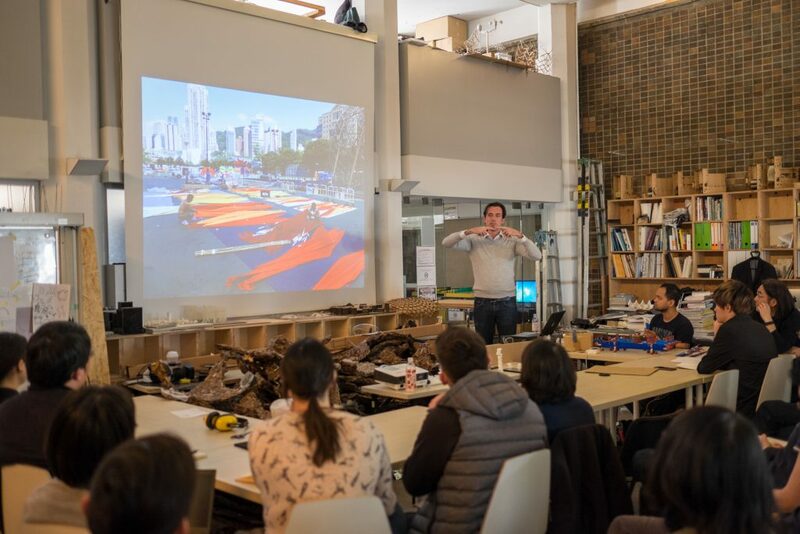 Please join us in room 415 on Thursday, November 26th for a lecture entitled “How Behaviors can be Resources for Commonality-based Space Design” by Yoshiharu Tsukamoto, Associate Professor at the Graduate School of Architecture and Building Engineering at Tokyo Institute of Technology.